History lectures? From my couch? For free?!!! So last week I had some time (and patience) to explore the capabilities of my iPhone. I somehow managed to download an app called ‘ITunes U’, after searching for something completely irrelevant in ITunes. My first happy dance was that the app was free, but the second and prolonged happy dance came when I realised I could download tertiary level courses from all over the world, for absolutely zilch, to my iPhone. After a quick search of ‘ITunes U’ I was downloading a bunch of lectures from a second year unit ‘Abnormal Psychology’, that were delivered at Harrisburg Area Community College, Pennsylvania. Psychology is another of my loves, so naturally I squealed with excitement. That point is not even important but I wanted to give you an idea of the incredible variety of tertiary level material you can accses, for free, from your iPhones, iPads etc etc. Bringing me to the point of this post…La Trobe University in Melbourne have uploaded lecture series on Australian Environmental History and also Australian Aboriginal History. If you are already an expert on all things Australian history, why not dabble in a bit of the American Revolution, kindly bought to you by Yale University? You have two weeks left to tell me ’bout your generation! 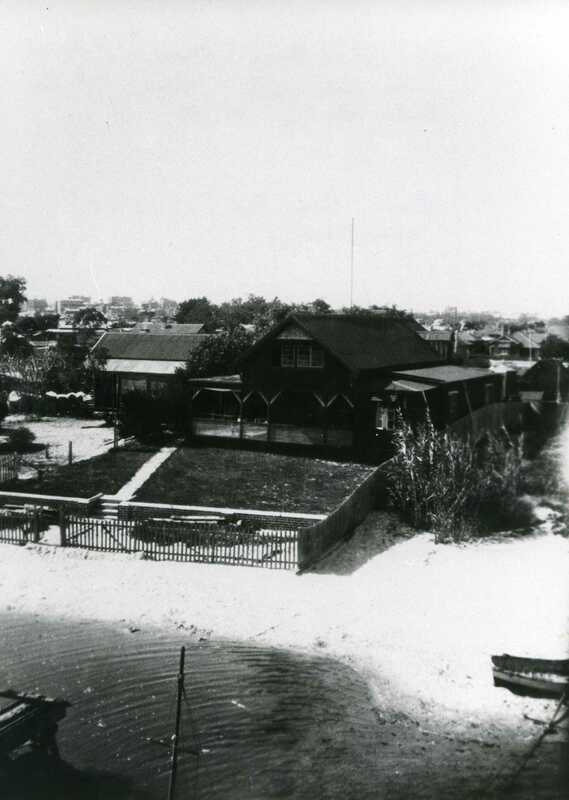 Entries for the 2012 City of South Perth Local History Awards close on Friday 30 March! 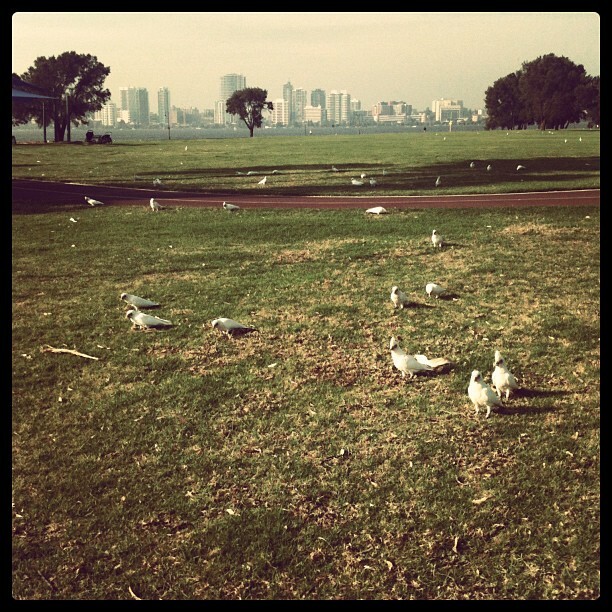 My suburb is South Perth - I live a 2 minute stroll from the foreshore and often take happy snaps while out exercising. I tell myself every day how spoilt I am to live in such a beautiful area! The cockies have been having a particularly good time lately, feeding in the trees and grass. The awards are for people of all ages – so tell your partner, friends, grandparents…why not your local barista?! 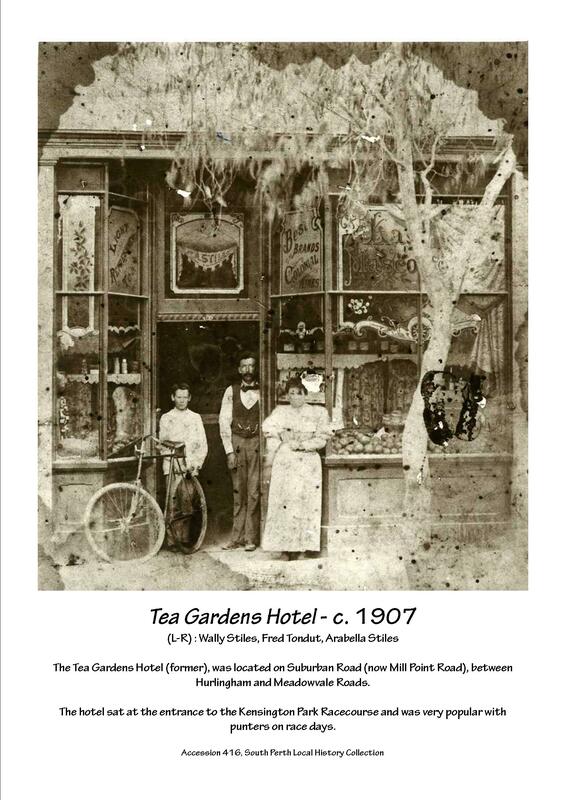 Everyone can be a part of recording a South Perth of the past but can also give a snapshot of what life was like for those living in and visiting our awesome city in 2012!……Did I mention prizes too? For more information, check out the Talking ’bout my generation page! Fancy some tea and horse racing?